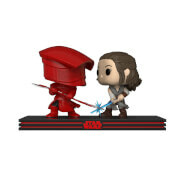 From Star Wars: The Force Awakens, Rey gets the Pop! Vinyl treatment! 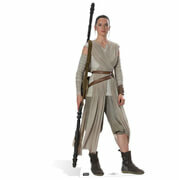 A Jakku scavenger, Rey has survived on her own until she meets BB-8 and realizes her life is about to change forever! The Star Wars: The Force Awakens Rey with Lightsaber Pop! 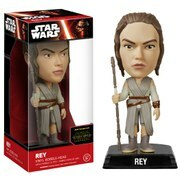 Vinyl Figure features Rey armed with her lightsaber and prepared to fight. This figure measures about 3 3/4-Inch tall and comes in a window display box.